A new female-skewed Freeview channel is set to launch on 1st October. YourTV, from Rupert Murdoch's Fox International Channels, aims to target 40+ women, who account for over a third of Freeview's audience. YourTV will enter an increasingly crowded market for female-skewed channels going up against ITVBe, Really, CBS Reality as well as Discovery's TLC, which is broadcast on satellite, cable and internet TV services. It's the first free-to-air UK channel for Fox, which operates pay TV channels National Geographic and Fox in the UK. The channel, which will also be available to viewers with YouView boxes, will be on air from 7am to 3am every day. Programme highlights include Corrupt Crimes, which investigates true-crime stories. Upcoming scripted content includes the U.S. legal drama Shark. BBC Three's Don't Tell the Bride will also feature on the channel. Readers may remember that YourTV was originally going to be the name of the local TV channels serving Manchester and Lancashire. which ultimately became part of the That's TV network. There is no connection between the two services. YourTV+1 - Freeview channel 78. The channel will also be available across the UK and Ireland on Sky and Freesat. Further details to be released. 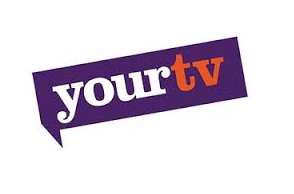 *YourTV originally appeared on Freeview channel 78, but moved to channel 73 just two days before launch. YourTV+1 moved from channel 79 to 78 ahead of launch. 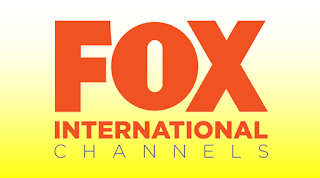 Would make more sense to launch a UK version of Fox Life, keeping with their international womans branding. and it is infact an uk version of fox life - the logo is equal to fox life logos around the world and it has the same target destination - women. For some reason, it's customary in the UK for pay TV companies to launch free-to-air channels that don't carry the same brand name as the premium channels. Sky - its Freeview channel is called "Pick"
Discovery - its Freeview channel is called "Quest"